Demi Lovato accredits Kim Kardashian for embracing her curves! There’s ‘Only One’ Kanye! There’s ‘Only One’ McCartney! Kardashian-West’s “Kidchella” Bash for Baby North!! 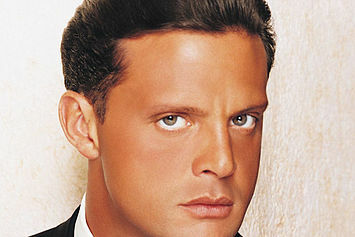 Who is Luis Miguel dating NOW?! Lala Vasquez & Kim Kardashian: Together Again! Is there a reality show in the works?! "Extra" caught up with the "Jersey Shore" star! PHOTO ROUNDUP: The Premiere Party of “Lala’s Full Court Wedding”! Both Lala and her husband, Carmelo Anthony, showed up! Ricky Martin, Perez Hilton, and more all "came out" with their opinions!